Christmas is normally my favourite time of the year for make-up – lots of glitter and lots of gift sets! However, this year’s collections are kind of lacking for me, and so far, the only item I have actually bought is this Karl for Shu Uemura Rouge Unlimited Lipstick in Mon Shu Red. I’ll admit now, this was an impulse purchase based TOTALLY on packaging! For his collaboration with Shu Uemura, Karl Lagerfeld created this super cute ‘mon shu girl’ drawing combining Japanese pop with European chic, which adorns all the items in the holiday collection. 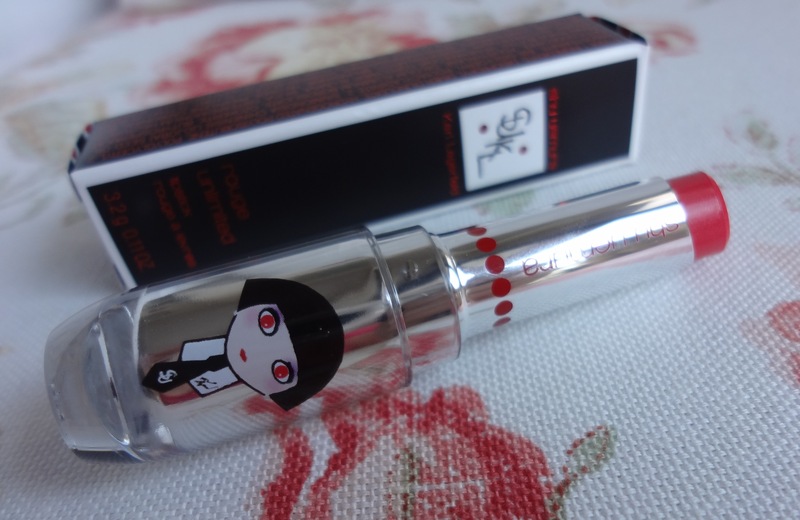 I wasn’t too impressed with the quality and colour selections of the palettes, the metal make-up box I wanted was out of stock and I already own Shu’s eyelash curler, cleansing oil and UV under-base mousse sans fancy packaging, so I ended up picking up one of the lipsticks in Mon Shu Red.